Personal loans and mortgages are part and parcel of daily life. But while there are some things money can't buy, there are plenty more that borrowed money shouldn't buy. We know you're unlikely to wander into your local bank and ask for a personal loan to buy a tiger. But according to one branch of Lloyds bank, in 2004 somebody did just that. Also included on their list of crazy personal loan requests were buying a dress that belonged to a Spice Girl, flying to the USA to meet Mickey Mouse, and baking the biggest cake in the world. We can't officially give financial advice but, off the record, we don't think it's wise to take out a loan for any of these things. It's a well-known fact that marriages (and the ending of those marriages) can be expensive. In fact, accountants Johnston Carmichael and Bulley Davey both list divorce among the most common causes for personal insolvency, and The Carroll Law Firm says both marriage and divorce often lead to bankruptcy. Let's be positive, though. It's not advisable to start a new phase of your life with debts hanging over you. Rather than take out a loan, budget wisely and save up. If nothing else, it will give you plenty of time to think about your decision. This one might seem implausible, but displays are getting more cunning, targeted adverts are on the way, and contactless cards are making impulse spending easier than ever. How does this lead to borrowing more money? Three words: 'unplanned overdraft extension'. 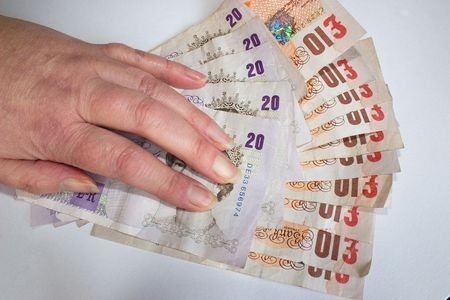 Go over your overdraft limit by more than £10 and you'll be slapped with a hefty fine. The smallest thing can push you over the limit. Of course, this can be avoided by keeping track of your finances, which can easily be done with our free Money Dashboard money management software. You can collate all of your spending and earning data securely in one easy-to-use dashboard, giving you a clear view of your finances. Going into debt to avoid unforeseen costs that could get you into debt is as convoluted as it sounds. Make sure you need the type and level of insurance you're considering. For example, do you lose/break your phone frequently enough to justify the monthly cost of cover? Use your Money Dashboard account to keep track of the expense and see if it really does add up to better value. It's also sensible to try and avoid paying insurance via direct debit which, far from being a cheaper option, is usually a form of loan to which the provider adds interest payments - pushing up the overall cost of your insurance. Have you heard of (or taken out) a loan for stranger reasons? If so, we'd love to hear about it in the comments, via Facebook or on Twitter.